Sarah Jayne Orton, of Finksburg Maryland, was a special child who devoted her short five years of life to helping homeless animals. Sadly, on 10 October 2013, five year old Sarah passed away unexpectedly after falling ill.
Sarah had loved all animals and spent much of her time doing all she could to care for them. 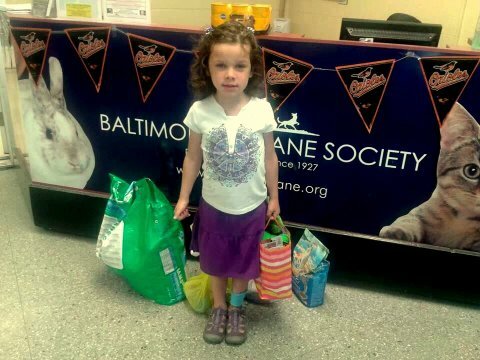 Just a few short months before her death, Sarah celebrated her May 15 birthday by asking that all birthday gifts be given as donations to the Baltimore Humane Society, an unusually selfless request for a five year old! Sarah’s dog, Scooter, had been adopted from the Baltimore Humane Society before she was even born. Sarah knew she had a loving and warm home and believed that these homeless animals deserve the same. After her sudden death, Sarah’s parents knew that she would not want people to forget the homeless animals who are unable to speak for themselves, as this was one of her chief passions. So, they created the Sarah Jayne Orton Memorial Foundation to memorialize Sarah’s life and to support the care of animals at the Baltimore Humane Society. 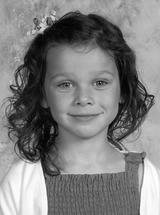 A plaque will be erected at the Baltimore Humane Society in Sarah’s honor. 100% of the donations to the Sarah Jayne Orton Memorial Foundation will go to the care of the animals at the Baltimore Humane Society’s no-kill shelter. All donations gratefully received at: www.bmorehumane.org/donate/sarah-jane-orton-memorial-foundation.